It's the season to be jolly...and very busy we would add :) Many of you recently asked about putting together a round up of some projects we can actually share (lots of internal work under NDAs, heads would be chopped off if we shared too much!). So here you go, a round up of our latest projects we'd love to know what you think about and maybe just maybe they'll spark an idea for you to go about your next event, session, pitch in a different way! We were asked to join a very exciting new project by Sadiq Khan Mayor of London for London Borough of Culture, a huge investment into art and local communities. As the day went on, our visuals were displayed on the screen unveiling more and more insights from the day turned into memorable pictures for everyone to take away with them and reuse in the future and pick information from they need. We loved this day! There was a lot of energy and excitement in the room and you could tell people are ready to get involved. All the key insights from the day on two visually attractive pictures. 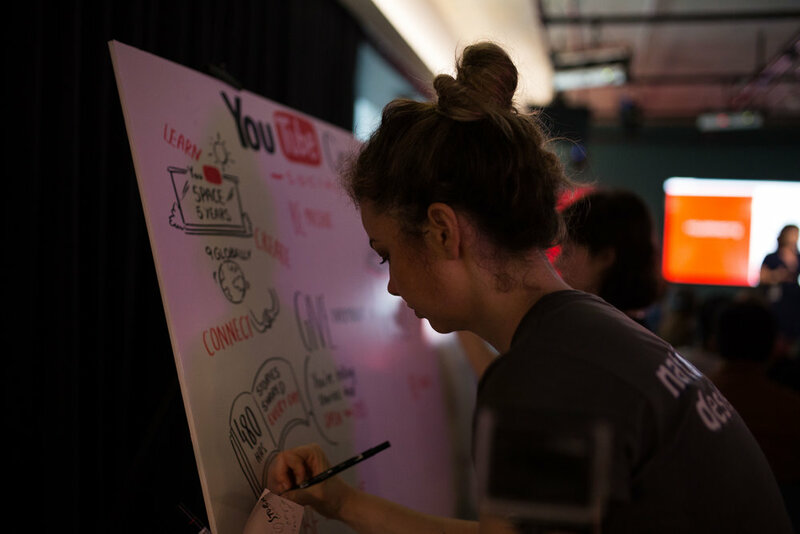 Call it graphic recording, graphic facilitation, scribing, sketch noting, live sketching, speed drawing - we call it awesome. 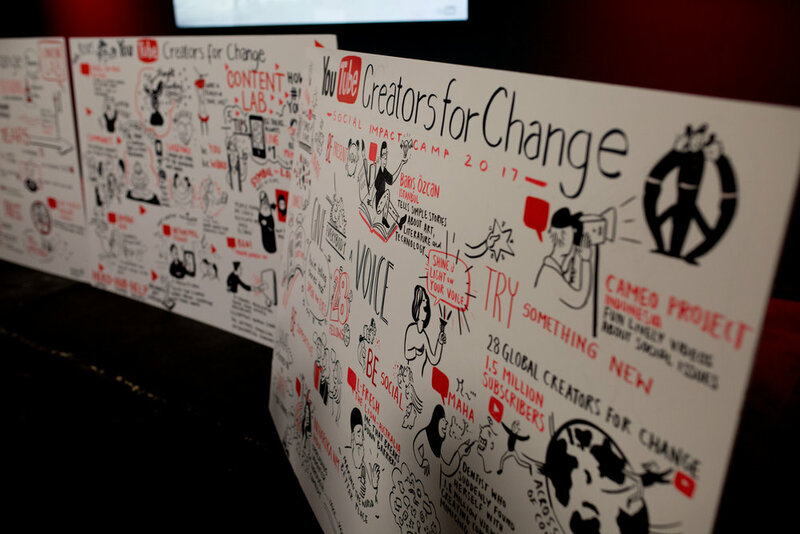 It’s not just pretty pictures : we spent 2 full on days capturing the key ideas from each speaker / session. You can see through these screenshots (numbers are still going up) thanks to graphically recorded talks fed into social stream one by one in real time the event itself is more visible (yes we were trending on Twitter😄👊🏻), page impressions go up = more engagement, more people see your event, whoever couldn’t be there on the day can easily grasp the key insights from each speaker’s talk, your feed and content look so much more creative than just text and photography (as everyone else does), after the event you’ve got heaps and heaps of content to reuse, create blogs around, put on your website, speakers and audience love to see that creative way of communicating your messages through. A win win overall! We’re super proud how it turned out. Got an event coming? Any of this sounds exciting? Ping us. Sometimes you just have to go with your gut feeling and invest in projects and people that are creating a lasting impact and memories and have a huge passion for what they do. That’s why this time we partnered up as sponsors for TEDxCoventGardenWomen and TEDxMonteCarlo and turned all talks into memorable pictures for all the audience and speakers to take away from these inspiring full on days. What an experience! We’re proud to have been a part of it and loved every minute of it! Check out our @Natalka_Design Twitter for all the visuals shared recently. Speakers loved it, audience loved it. Thanks to the visuals, everyone will remember these talks for way way longer. If any of these ideas made you go: hmmm... this could be good for our... or... and.... get in touch!